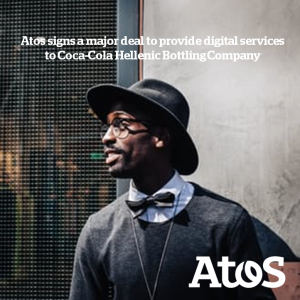 Atos, a global leader in digital transformation, today announces the launch of its Sofia-based global IT Competency Center. Atos will use the center for driving global growth in the Food & Beverage sector across multiple technologies and service line offerings. This will provide Atos with a significant market differentiator in the form of people assets and provide a global platform for employees to further develop their career on a global basis with new clients. Events and major milestones leading to the decision to set up a Global Competency Center in Sofia includes the signing of a strategic partnership contract between Atos and Coca-Cola Hellenic Bottling Company (CCHBC), one of the world’s largest bottlers of brands of The Coca-Cola Company and the acquisition of Bulgarian-based SAP specialist service provider InfoPartners earlier this year. 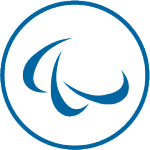 The multi-million euro five-year contract with CCHBC sees Atos take over development and management of key IT applications supporting the CCHBC business. The partnership will improve business critical processes of CCHBC across 28 countries and 8 time zones to support growth, accelerate time to market and optimize IT spend. In parallel with the CCHBC deal Atos acquired 100% of InfoPartners, a leading provider of SAP services in Bulgaria and the incumbent supplier to CCHBC. The acquisition of InfoPartners served as a solid basis for the establishment of the Bulgarian Food & Beverage Competency Center. The new Global Food & Beverage Competency Center in Sofia aims to maximize Atos’ new strengthened SAP capability and will enable it to service clients worldwide. Atos aims for the new center in Sofia to double its capacity within the next 5 years. The official launch event took place on 10th October at the new Atos Bulgaria Competency Center (ABCC) premises in Sofia.